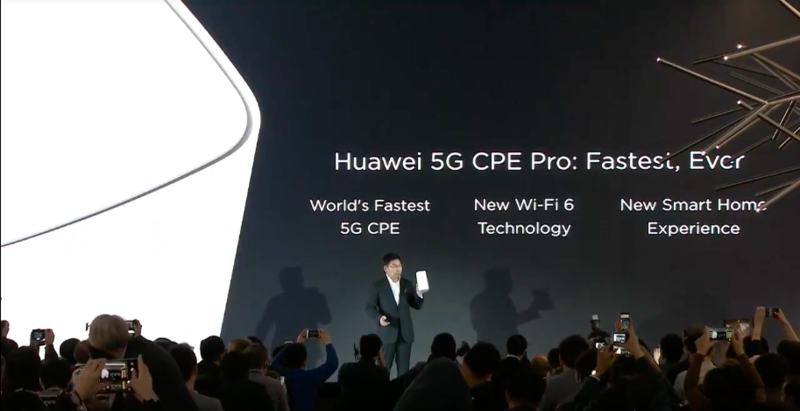 Huawei hosted a conference in Beijing today to showcase its upcoming 5G products: the Balong 5000, which it claims is the world's fastest 5G chip, and the 5G CPE Pro, a powerful home router. With these devices, the Chinese manufacturer is aiming at becoming a reference in 5G chips, and is trying to dethrone Qualcomm with a more powerful product. 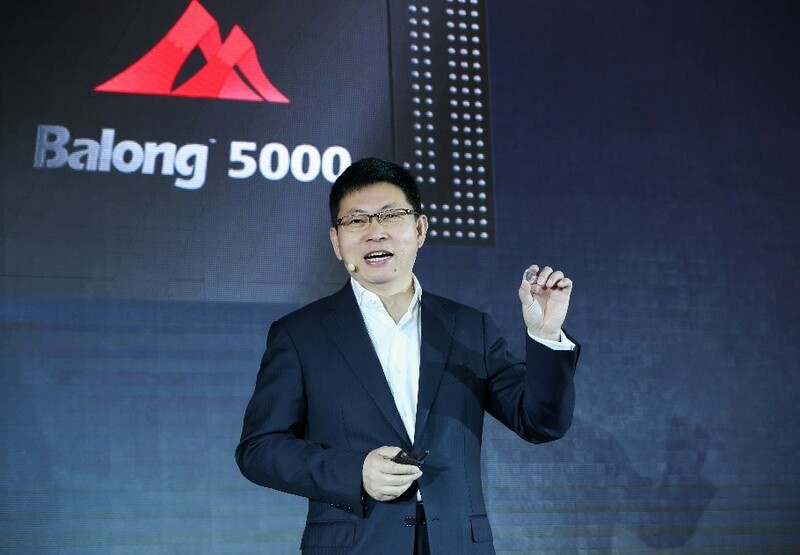 Spearheading Huawei's 5G efforts is the Balong 5000, the first multi-mode 5G chip. Instead of being a dedicated 5G modem, this one supports 2G, 3G, 4G, and 5G together. 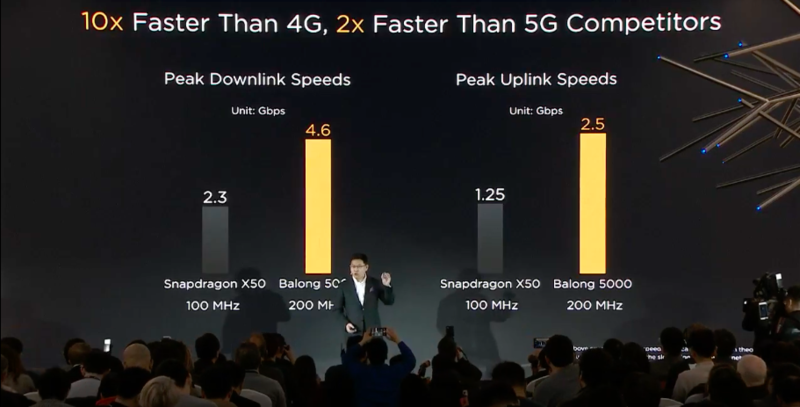 The immediate benefits here are reduced intermode latency and improved energy efficiency: As a single chip deals with all network modes instead of several, it's faster and less power-consuming to switch from a mode to another. 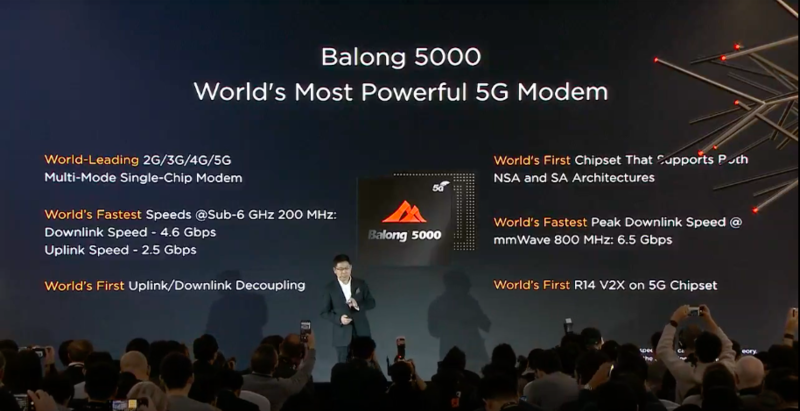 Huawei also presents the Balong 5000 as the world's most powerful 5G chipset, with download speeds reaching up to 6.5 Gbps. Thanks to its TDD and FDD support, this modem can dedicate a separate band to uplink and downlink streams, allowing for faster transfer speeds. 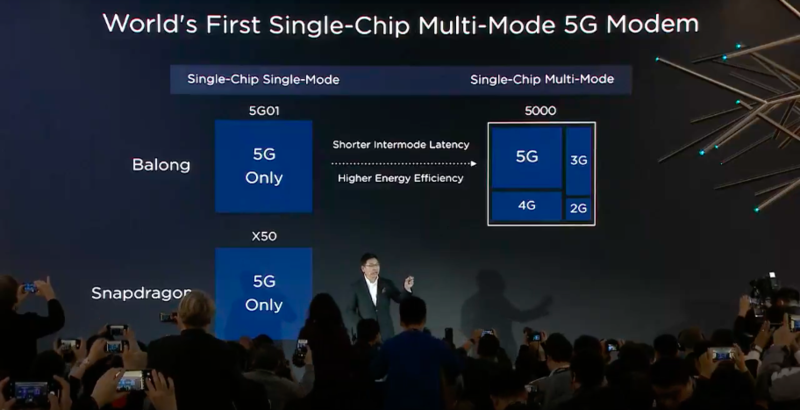 It's also the only 5G chip to support both NSA (Non-standalone) and SA (Standalone) networking. In short, NSA is considered a transitional infrastructure where 5G devices still use 4G networks for non-data related tasks, such as connecting to servers and base stations. It's therefore a forward-thinking modem by supporting future network standards. 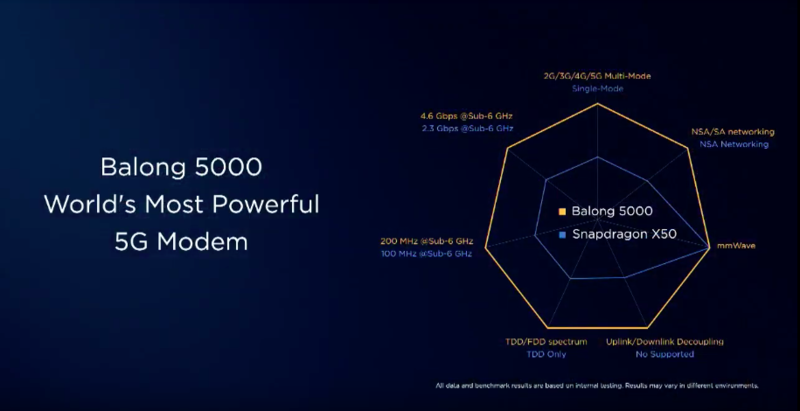 Throughout the conference, the Balong 5000 was compared to Qualcomm's Snapdragon X50, with Huawei claiming it's better in almost every aspect, as the American rival supports neither multi-mode, SA, nor FDD, and consequently offers lower speeds and energy efficiency. 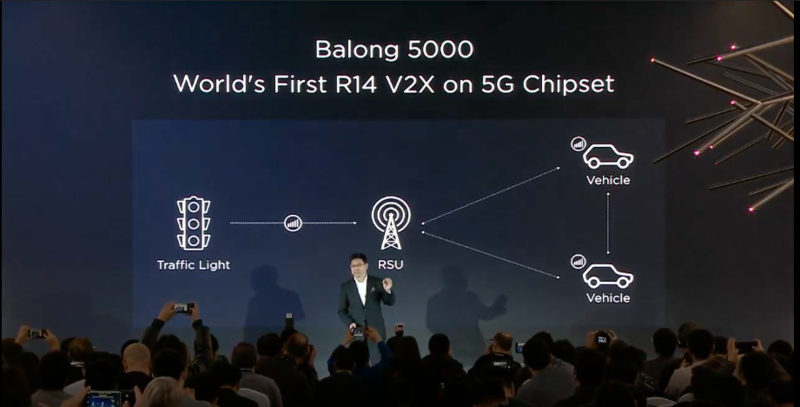 Lastly, the Balong 5000 is not only meant to be used in phones and tablets but also in IoT objects, routers and even cars, as it supports the Vehicle to Everything (V2X) communication protocol. We're expecting the chipset to launch in the foldable display smartphone that the company will unveil at MWC. 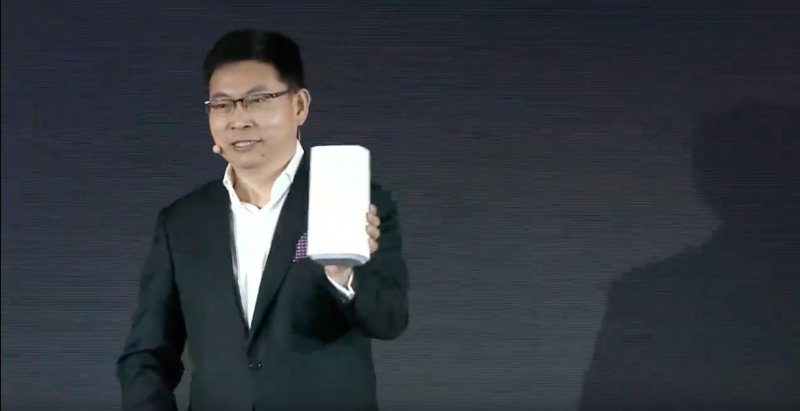 Huawei concomitantly announced the 5G CPE Pro, a 5G home router powered by the Balong 5000. 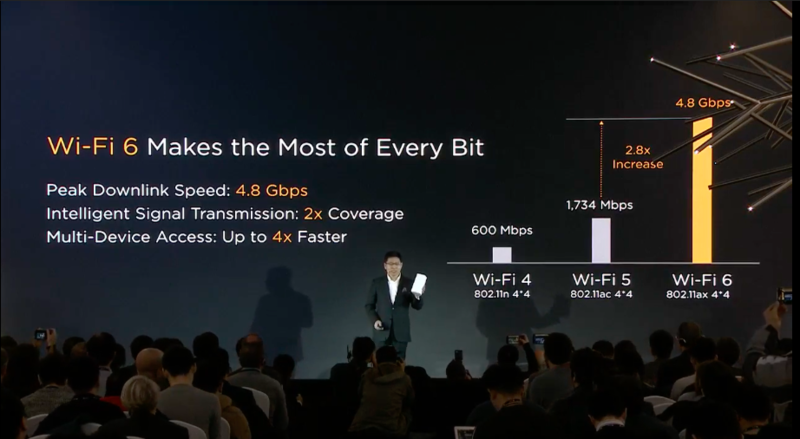 On top of all the 5G capabilities we mentioned above, the router features WiFi 6 connectivity, offering speeds up to 4.8 Gbps. The 5G CPE Pro also comes with a set of handy functionalities: Thanks to a mobile app, you can quickly find the best location in your home for the best signal. 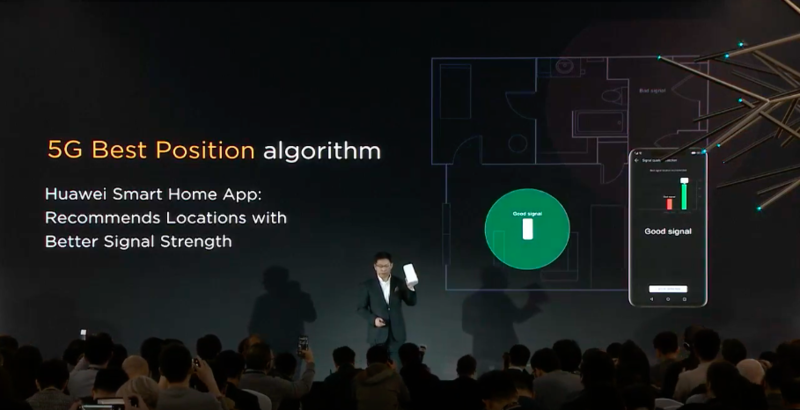 It also supports Huawei's Hi-Link protocol, which lets you connect other devices with a single tap. For more details, you can replay the conference on YouTube and read the full press release below. 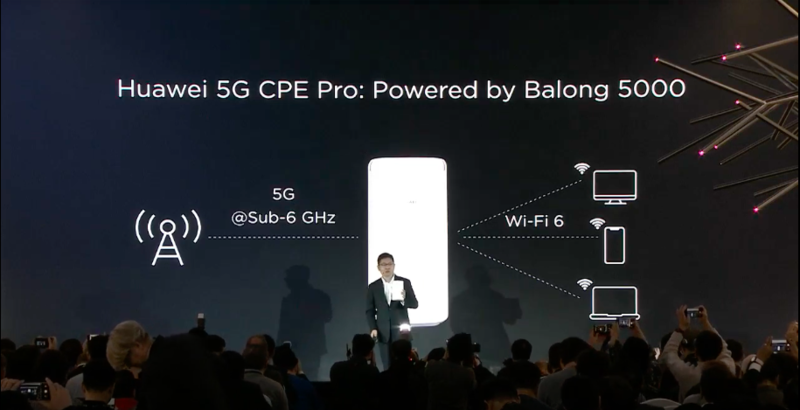 [Beijing, January 24, 2019] Huawei officially launched its 5G multi-mode chipset Balong 5000 today – along with the first commercial 5G device powered by it, the Huawei 5G CPE Pro. Together, these two new products provide the world's fastest wireless connections for your smartphone, your home, the office, and on the go. 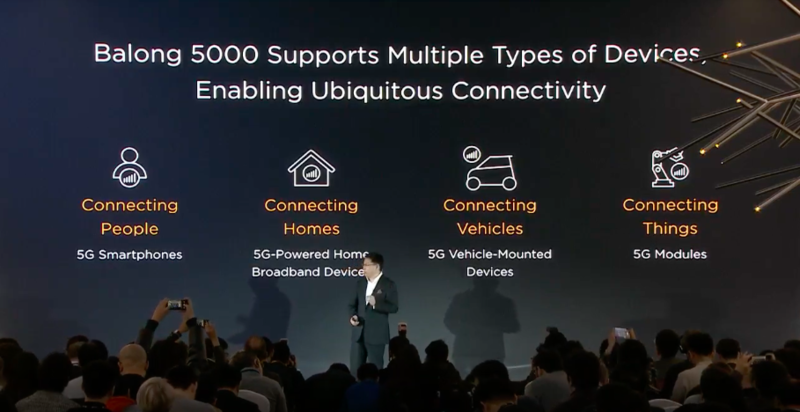 As a 5G pioneer, Huawei began research and development in 5G as early as 2009, and is currently the industry's only vendor that can provide end-to-end 5G systems. 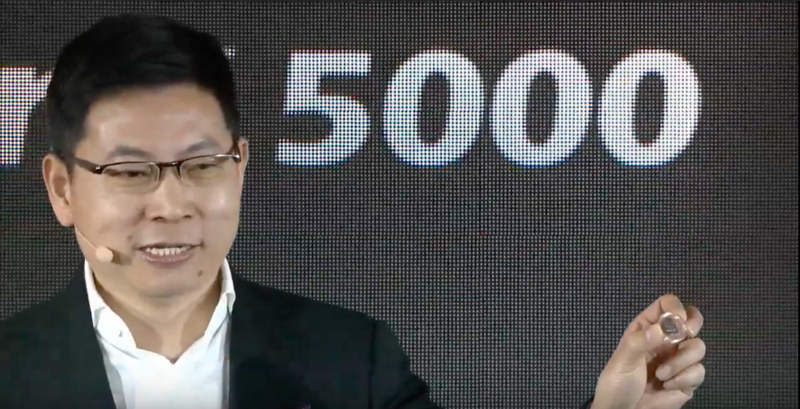 Huawei has more than 5700 engineers dedicated to 5G R&D, including over 500 5G experts. In total, Huawei has established 11 joint innovation centers for 5G solutions worldwide.